Developer Innerspace VR has been a pioneer in the VR space from the beginning. 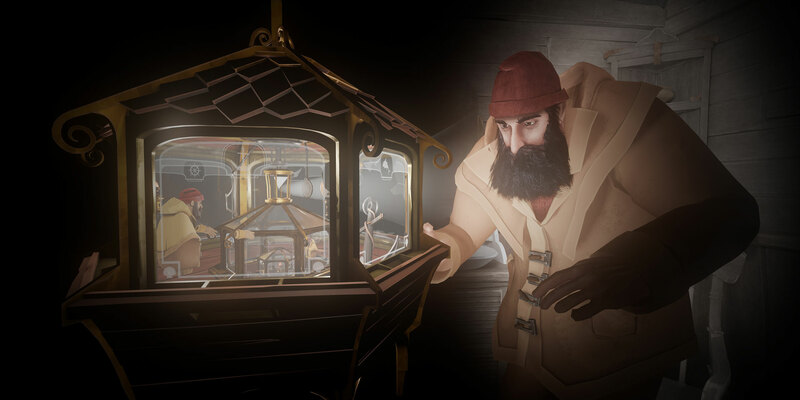 Having worked on acclaimed VR shorts like Firebird - La Peri and Firebird - The Unfinished, the studio’s latest offering, A Fisherman’s Tale, is easily their most ambitious endeavor yet. 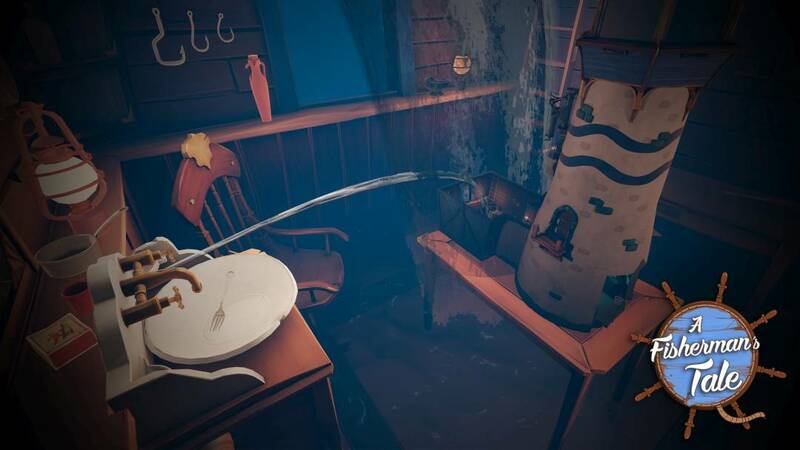 A Fisherman’s Tale is a unique game that features puzzles that are only possible in VR. In it, you control a doll inside a room who is controlling a doll inside a room who is controlling a doll inside a room. This infinitely regressive layered approach to game design forces you to team up with different-sized version of yourself to solve multi-dimensional puzzles. This innovative concept is executed with fantastic voice acting coupled with polished graphics that many have compared to Pixar films. 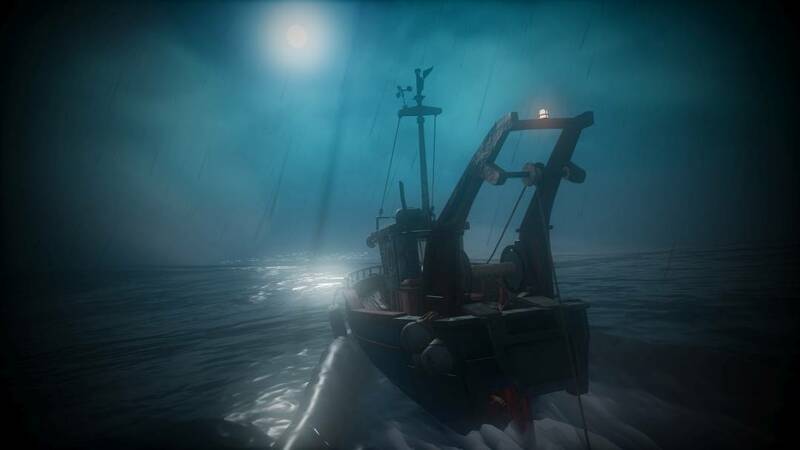 A Fisherman’s Tale has received rave reviews online, where it currently holds a “Very Positive” rating on Steam and a four and a half star average on the Oculus Store. To get a deeper look into the making of the game, we interviewed Innerspace VR Co-founder & Creative Director Balthazar Auxietre to learn why the studio aimed to make a game that was only possible in VR and how they tackled some of the medium’s biggest hurdles. Thanks for taking the time to answer our questions and congrats on the recent release of A Fisherman’s Tale! How did you come up with the unique concept of having simultaneous, different-sized dimensions? Innerspace VR Co-founder & Creative Director Balthazar Auxietre: Worlds within worlds was an idea we’ve been toying with for a while, and since the early days of VR, creators have been playing with scale to great effect. So we thought it could be cool to put the player inside a room and play with multiple dimensions of this room and of [yourself] at the same time. As soon as we did a few experiments, we realized it had a lot of potential not only gameplay-wise, but also story-wise. So we started to build the game from there. 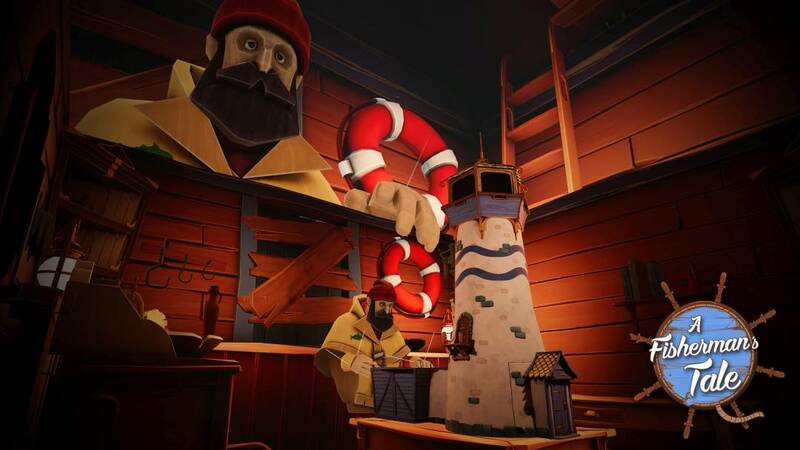 With puzzle elements that force you to physically interact with different-sized versions of yourself, lots of people are saying A Fisherman's Tale is a game that’s only possible in VR. Was one of your main goals to make something that was only possible in virtual reality? Exactly! Since we founded Innerspace VR in 2014 we had this crazy goal of making each project a unique experience specifically made for VR. So, from the beginning, all our games have been designed with a “VR mindset.” And instead of making an experience that could work on multiple platforms, we really focused on how the experience could be most effective strictly from within the headset. The game currently has a “Very Positive” rating on Steam and players are saying the puzzles are inventive without being overly difficult. Can you explain how you designed puzzles that were fun and creative without being frustrating? 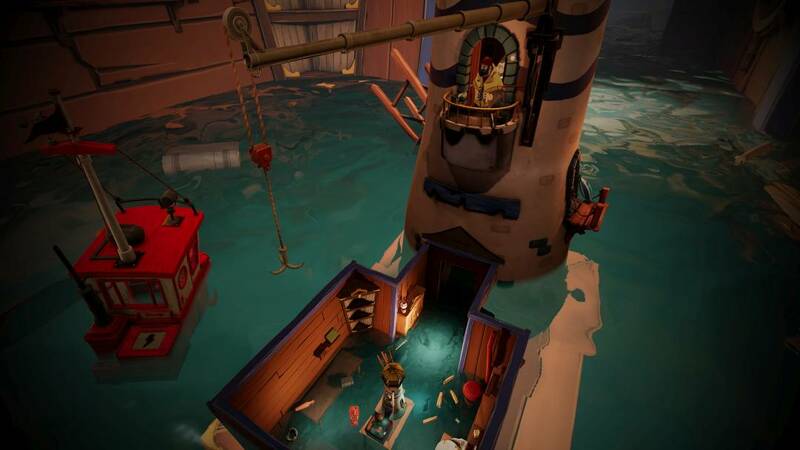 We wanted to make an experience anyone could enjoy, without being a VR whizz or a puzzle expert, so we spent a lot of time playtesting and fine-tuning all the puzzles to avoid making them too frustrating. There is also a hint system we implemented for people who don’t want to be stuck too long and move forward in the game. A Fisherman's Tale's story is quite gripping and is surrounded by a bit of mystery. In its nascent state, what have you learned about storytelling in VR thus far? Quite a lot, and even now we are still learning in this amazing new field! The basic principles of telling a story still apply but the “how to” vocabulary is really different in VR and still relatively unknown. I think it can only come from a community of creators that will shape this, not a single studio or individual, so we’re really [excited] to see how other developers will go about it. 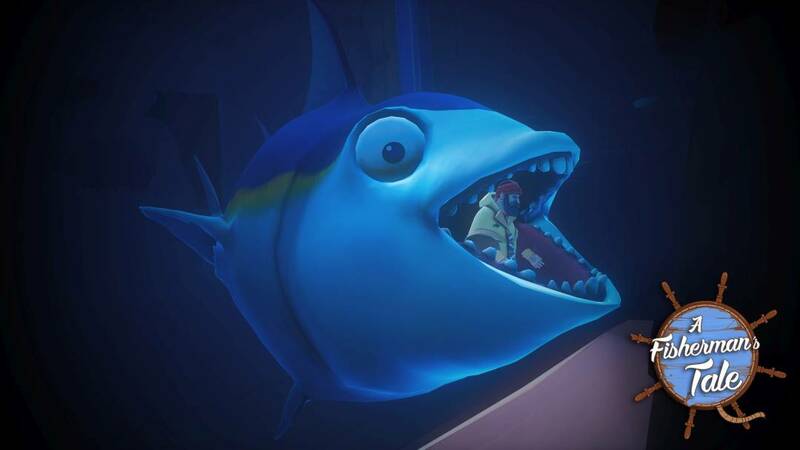 With a cohesive artstyle coupled with great attention to detail, many players are saying the aesthetics have a very polished Pixar-like quality to them. How did you achieve the graphical look of the game? We’re still quite far from a Pixar movie, but this is definitely a goal we tried to reach! We spent a lot of time working on the environments and iterated so that all environments feel carefully crafted and well thought-out. We also developed a material pipeline to have a consistent look on all dimensions so that when the game objects are enlarged, they still feel quite real. Considering VR's steep system requirements, how did you keep frame rate in check? VR is a tough platform optimization-wise but the good thing is that it forces you to have a very thoughtful approach to each addition to the game. Since A Fisherman’s Tale is not our first VR release, we know the constraints quite well and have developed a cautious step-by-step approach. We keep the frame rate in constant check and of course use Unreal profiler tools at the end of the dev process extensively to fine-tune things. Since there are multiple, simultaneous version of your character model in the game essentially all doing the same thing, were you able to glean any performance-saving measures out of this design? Yes. We had to keep things tight in terms of number of objects, size, and complexity, but as you’re in a model in the game, it felt right, and it made sense to avoid complexity in general. We really pushed for the stylized direction. Not many VR games allow you to extend your hands out to grab hard-to-reach objects in the game. How did you go about implementing this? Because some VR hardware doesn’t offer the same tracking capabilities, we had to find a way to give access to any object in the game even if you’re constantly standing. The fact that we play as a puppet helped a lot when solving this challenge because the telescopic hand mechanic, which allows you to extend your hands out, made sense in this world. So even though it felt like a compromise (for hand presence) at first, now, we think it’s actually a fun addition! What was the biggest challenge developing the game? Since the game is so narrative-centered, while having a sort of sandbox aspect to it, we worked hard on balancing the moments when the player needs to pay attention to the storyline and the moments when they should focus on the puzzles. It’s very tricky, because everyone looks for something different in these games. Some want to focus on the storyline, while others are in it for the puzzles and challenges. We do not want to force the players too much, so it’s all about nudging them into paying attention to what we think they should be paying attention to. What made UE4 a good fit for A Fisherman’s Tale? We used Unreal since 2015 and never thought about moving to another developer framework. It is an incredibly powerful and solid development tool, especially for VR, as Epic’s team is following each new hardware improvement from headset manufacturers. With a few custom add-ons made specifically for the game (by our talented engineers), we've had a really smooth development process. Do you have any favorite UE4 tools or features? For me, the most valuable feature is Sequencer. It provides the ability to carefully craft narrative beats while being very flexible and integrated with the other parts of the engine. It has become an essential part of our workflow. Was the Unreal Engine Marketplace at all helpful for the studio? We did use the Unreal Engine Marketplace for a few assets or particles we wanted to experiment with, as it was a quick and easy way to try out things before building them properly for the game. Considering A Fisherman's Tale is available on Oculus, Vive, Windows Mixed Reality and PlayStation VR, do you feel like Unreal Engine 4 facilitated compatibility across these various VR headsets? Totally. It was really necessary for us to target as many platforms as possible and it can be a very painful process, but Unreal made it a lot easier for us. We just hope that in the future, there will be more synergies and common APIs between manufacturers so we don’t need to tailor the experience for each headset. Having developed A Fisherman's Tale, what are your general thoughts on VR? We're really dedicated to the VR medium because it's the best way to tell the stories and make the games we want to make at Innerspace. Even if VR has not gone mainstream yet, we're betting on it because we know it has the potential of moving people deeply and can create meaningful, enjoyable experiences you cannot experience otherwise. That's why we really hope that one day, VR will be in every home, so that we can show the storytelling power of VR to everyone. Thanks again for your time. Where can people learn more about A Fisherman’s Tale? People can check out the game at http://afishermanstale-game.com/ and follow us on Twitter @InnerspaceVR.